Atlanta is a thriving city with history, culture, commerce and throngs of people, and living here can be a blast. Sometimes, though, we just want to get away from it all. On today’s All About Real Estate segment of Atlanta Real Estate Forum Radio, John Tatum of Cloudland Station describes its simpler time to co-hosts Carol Morgan and Todd Schnick. Tatum paints an extraordinary picture of Cloudland Station, a community set in mountains and valleys just 20 minutes south of Chattanooga where Atlanta residents are building second homes. What sets this place apart is its committment to providing a “simpler time.” Set on 500 acres, half of the land is designated for conservation, keeping the natural landscape intact for residents to enjoy. The rest of the land contains a mountain village and homes that mimic 200 years of architectural history. Starting in the village, guests will find a traditional village building styles in the honor system sweet shop where they can leave money in an old-fashioned cash register and the one-room schoolhouse. Moving outward from the town square, the style changes to reflect a more agrarian-style cottage and finally up in to the hills of the property the houses are more cabinesque. Listen to today’s segment to learn about building a treehouse or cabin there, or renting a lodge on an adjacent property. Visit the website to learn about building a primary or secondary residence at Cloudland Station. Atlanta Real Estate Forum Radio’s “All About Real Estate” segment from Denim Marketing and Marketing RELEVANCE airs on Fridays and highlights the movers and shakers in the Atlanta real estate industry – the home builders, developers, Realtors and suppliers working to provide the American dream for Atlantans. For more information on how you can be featured as a guest, contact Atlanta Real Estate Forum by clicking here. 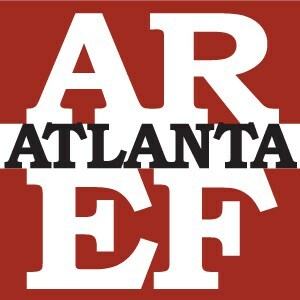 Please download and subscribe to all of the Atlanta Real Estate Forum Radio podcasts on iTunes. If you like this week’s show, be sure to rate it.